As such he served as Chairman of the Academy between 1969 and 1971 and as First Vice President of SFTA/BAFTA, taking on the role of President in 2002. 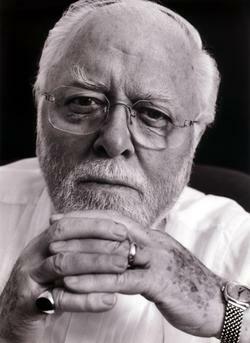 In recognition of his work behind and in front of the camera Attenborough was made an Academy Fellow in 1983. On stage he had the distinction of being – along with his beloved wife, Sheila Sim – part of the original cast of Agatha Christie’s The Mousetrap in 1952, appearing in the first of more than 25,000 performances of the longest running play in the theatre.